Oulton Park will benefit from a raft of venue enhancements in 2015, with improvements made to the circuit itself and the viewing areas. 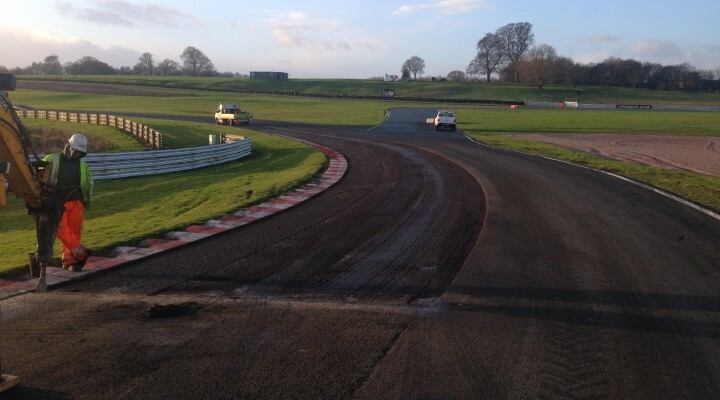 Island Bend has been re-profiled to create a constant curve, with new kerbs installed, ahead of the British Touring Car Championship’s return to the Island circuit layout this year. These alterations will reinforce Island Bend’s status as one of the most exciting overtaking spots on the BTCC calendar. Spectators can enjoy spectacular views of the circuit from a brand new viewing bank overlooking Clay Hill, where it will be possible to watch cars or bikes summit the crest of the hill before rocketing down a short straight and darting into Druids, one of the fastest corners on the circuit. Additional developments include the modernisation of run-off areas between Island Bend and Knickerbrook, with the erection of new barriers, and resurfacing at key corners such as Old Hall and Cascades. A revamped drainage system has also been installed in the paddock to improve rainwater drainage. Jonathan Palmer, Chief Executive of circuit owner MSV, commented: “These improvements are good news for all visitors and competitors at Oulton Park. With the BTCC returning to the Island circuit for 2015, we’ve put a lot of effort into updating the track and kerbs on that section, to encourage overtaking moves there. We’ve also resurfaced several other key parts of the track, to ensure that the track is in great shape.